Manufacturer of a wide range of products which include epoxy bonding agent, polymer bonding agent, cementitious bonding agent and acrylic grout additive. Our organization counted as a leading manufacturer, & supplier of Epoxy Bonding Agent that is best for structural concrete extensions for better bonding, the offered bonding agent is processed with the best grade ingredients and leading technology according to the quality standards. This bonding agent is available in various customized packaging options. 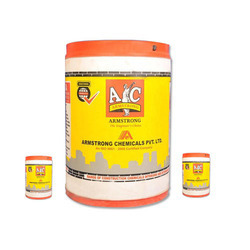 Our bonding agent is known for its high mechanical strength & best for horizontal and vertical surface. Excellent bonding strength, High mechanical strength, ideal for horizontal and vertical surface. Can be applied to dry and damp surfaces. 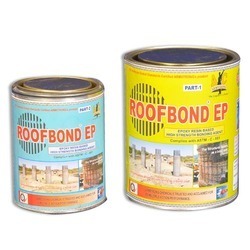 Ideal for structural concrete extensions for better bonding. 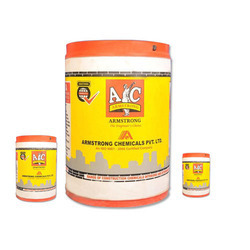 We are ranked as the noteworthy manufacturer, and supplier of Polymer Bonding Agent that is best for bonding of old & new concrete, the offered bonding agent is applied to dry and damp surfaces & offers protection for reinforcement from any corrosion. This bonding agent is available in seal packed packaging in order to ensure its purity. 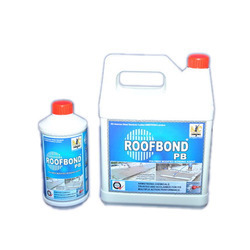 Moreover, customers can avail this bonding agent from us at reasonable rates. It has excellent adhesive strength to concrete/steel. Can be applied to dry and damp surfaces. Protects the reinforcement from any corrosion. Ideal to use for bonding of old & new concrete I mortar. Can be mixed with cement mortar/concrete to become impermeable to water, for plastering, bonding mortar for filling blow-holes, repair works, floor screeds, patch works etc. Mixing with 1:1 ratio of cement 50 sft. pe ltr/coat depending on the substrate. Owing to the expertise of our skilled and experienced professionals, we are able to offer an extensive range of Cementitious Bonding Agent that immediately place new concreter on wet conditions, like filling up potholes, cracks, and the offered bonding agent is well checked at our end on quality aspects for supplying a pure range. This bonding agent is processed using supreme class ingredients as per the set industry norms. Surfaces must be clean, free of dust, loose particles etc and made as rough as possible. Apply this prepared solution generously with brush or pour over the old concrete surface and immediately place new concreter / mortar on wet conditions, such as patching damaged concrete, filling up potholes, cracks, crevices, etc. for better adherence and impermeability of cement plaster over brick work etc. concrete to concrete for old and new concrete as bonding agent. 1 Ltr dilute in 3 Ltrs water, add ¾ kg neat cement immediately before application. (1 Ltr sufficient for around 10 to 12 Sq.mt surface). Pack: 1, 5, 10, 20, 30 & 210 Ltrs. Owing to our expertise, we have been able to offer our clients an excellent quality Acrylic Grout Additive that offers free flow, bond strength for crack and cold joints, the offered acrylic grout additive is processed under the observation of our quality experts by using sophisticated technology at par with international quality standards. The whole range of acrylic grout additive is available in different packaging options. Looking for Bonding Agents Adhesives ?